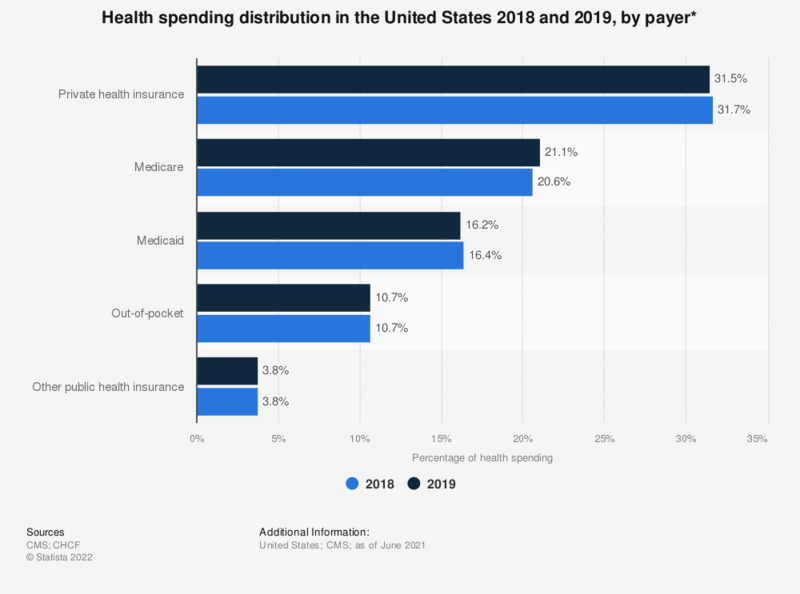 This statistic describes the health spending distribution in the United States in 2014, 2015, 2016, and projections for 2026, sorted by payer. In 2026, private health insurances are expected to cover 31.2 percent of all health spending in the United States. * Health spending refers to national health expenditures. Not shown: other payers, public health activities, and investment, which totaled 15.5%, 15.0%, 14.9%, and 13.9% in 2014, 2015, 2016, and 2026 projections, respectively.